The Midnight Club is back to end things once and for all. 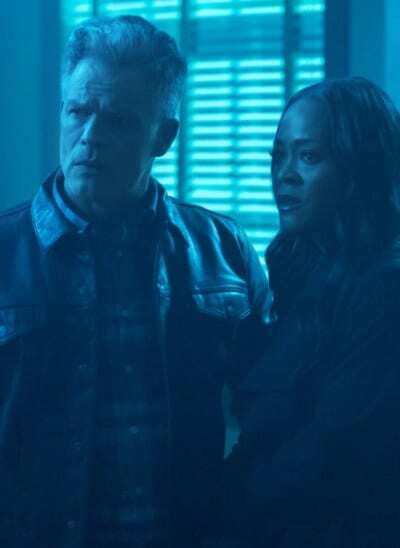 The Riverdale parents have accepted the Gargoyle King’s mission to finish Gryphons and Gargoyles on Riverdale Season 3 Episode 12. They’re tired of living in fear and want to close the book on their past. But, things didn’t exactly go the way they had planned. The reunion wasn’t the heart-pounding, shocking twist that we all hoped it would be. Instead, we all lost as a result. 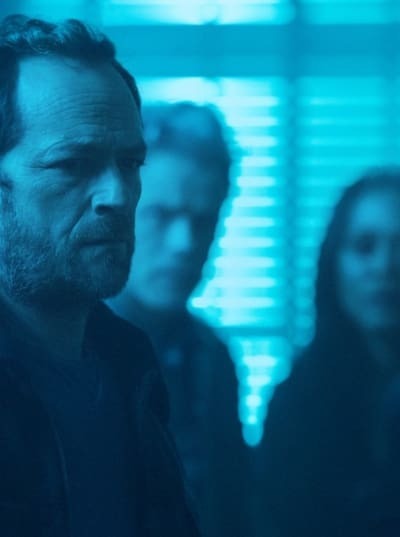 The terrifying impact of the Gargoyle King is diminishing week-by-week on Riverdale. What used to be a menacing threat has turned into a costume you can pick up at Party City. Seriously, where is everyone getting these spare Gargoyle King costumes?! Riverdale Season 3 started strong by introducing the creepy cult and the death of an Archie Comics character. Now, the mystery is getting used as a mechanism for others to create fake outs and filler plots. As much as I love this season, the storyline is dragging now. 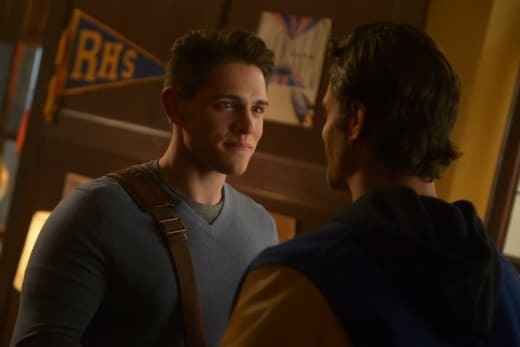 Riverdale could’ve approached the reunion of the Midnight Club weeks ago to connect finishing the game with the true villain. They’d capture the murderer, and we’d move on to focus on the mystery of The Farm. Riverdale doesn’t need to go back to shorter seasons, but their structure could suit the layout of a mini-series. For instance, the first 13 chapters could be about the Gargoyle King while the back half would be The Farm. The mini-arcs could pepper in to tie the halves together. Something needs to change to make each chapter stronger than the last. We don’t need another retread of The Black Hood. Hermione: We’re not really taking this seriously, are we?Tom: I think we have to assume this is real for our kids’ sake.Hermione: And then what? We’re just supposed to leave them home alone all night while we run around pretending to be teenagers again?Alice: May I remind you what happened last Ascension Night? Someone ended up dead!Penelope: We don’t have any choice in the matter. We all know why this is happening again … and now. Two members of the original Midnight Club are daring to get married, to be happy. And the Gargoyle King, whoever and whatever he is, wants to destroy that. He is a vicious and petty god, and if we don’t finish the game now, the Gargoyle King is never going to leave us alone. Part of this frustration stemmed from the underwhelming reunion of The Midnight Club. It is the moment we waited for, but a purpose for an unrelated issue undercut its importance. Which, by the way, came across as a stretch with a lot of plotholes. So, we’re supposed to believe that Major Mason planned this entire elaborate fake out to scare his son into not dating Kevin? Why did he involve The Midnight Club? Better yet, how did he even know about The Midnight Club? Did Tom tell him before he got shipped off to the Sisters of Quiet Mercy? Were the members of the RROTC followers of the Gargoyle King, or were they just haters too? In what way would this have gotten revenge on Tom? And did he actually think this would separate Moose and Kevin? They loved each other, and none of the goblets had poison in them, so they’d get over it. The Midnight Club deserved better for their big reunion. We didn’t need a Scooby-Doo plot where a childish man wasted their time. 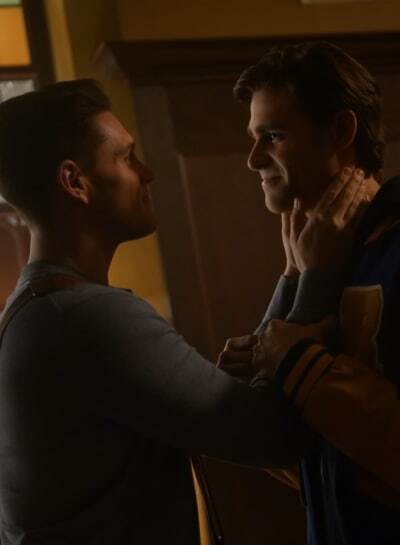 What’s worse is that ultimately Major Mason got what he wanted: Kevin and Moose broke up. But, there had been trouble in the water for a while now. Look, Moose wasn’t ready to come out, and that’s completely fine. We all move at our own pace, and he needed to work on himself before he could embrace who he was. There is no timeframe on his journey. Cheryl and Kevin didn’t need to push him out or drop ultimatums; he wasn’t ready. On the other hand, Kevin is allowed to be with someone who is out and proud. If Moose wasn’t at the stage in his life, Kevin should be free to be with that perfect person. As much as I want Kevin to find love, he clung onto his longtime crush for so long that he didn’t realize that their relationship had an expiration date. Hopefully, the next romantic interest he meets will have long-term potential. Kevin: Well, there’s this guy and we’ve been having problems…Cheryl: Moose, you mean? [Kevin is stunned]Cheryl: Please, I have eyes. I saw you lounging together at my pool party looking like a community theater production of the Talented Mr. Ripley. The Moose ship has been trouble from the gay get-go. Maybe it’s time you move on?Kevin: I can’t go back to Fox Forest.Cheryl: Oh, sullen tender-hearted Kevin. I’m not talking about cruising, I’m talking about Bumble. Cheryl’s conflict with Toni finally got her to take accountability of her self-involved and reckless ways. I love Cheryl and all her witty zingers, but it’s half her fault that she and Toni got kicked out of the Southside Serpents. That group was a bloodline legacy for her true love. Did she not care? And regardless of how she felt about the Moose and Kevin situation, she didn’t need to insert herself into their couple drama. Cheryl knew how it felt to stay in the closet out of fear. Subtley outing Moose was not only thoughtless, but it might be the most hurtful thing she ever did. While Moose got over it, we can’t ignore that he wasn’t ready at that time nor was it Cheryl’s decision to make. 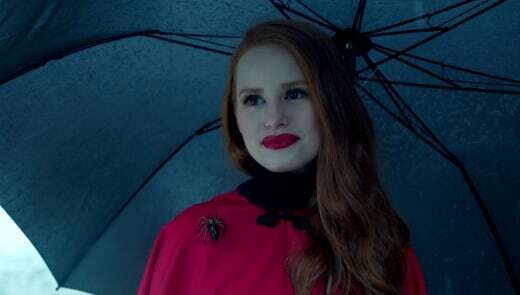 Thankfully, Cheryl’s character has changed from Riverdale Season 1, and she learns from her mistakes to rectify the problems. If only a certain red-headed boy-next-door had that type of foresight. Regardless of how you feel about Cheryl Blossom, she puts in the effort, eventually. Toni’s life changes forever with the college meeting and the creation of the Pretty Poisons, and Kevin had a memorable farewell with Moose. Cheryl did all of that out of the goodness of her heart. She has it in her to be good; it’s all dependent on her core motivation at that moment. Josie: I don’t know if you’ve heard, but my mom is getting married to Kevin’s dad. And I wanted to know if you would be my date for the wedding?Sweet Pea: As your boyfriend?Josie: Does it have to be so official?Sweet Pea: Josie, I like you and I would be with you, all in with you in a second. But, you sliding into my life when you don’t want to be alone … I’m not built that way. Maybe that makes me needy, but I just … I’ve got to get off this merry-go-round with you. If you called it that Josie and Archie would start a romance, give yourselves a round of applause! It’s no secret that a flirtation was teased between them, but I hoped that Archie could have one genuine female relationship that wouldn’t turn romantic. His character falls back into the same love mess over and over again. As of now, Archie had a romantic plot involving many of the teen characters introduced during Riverdale Season 1. He dated Veronica, kissed Betty, pursued by Cheryl, and dated Val. Josie was always the exception because she had her eyes on stardom and she refused to fall for Archie’s tricks. Their love of music fostered a friendship that, while not always on screen, had a lightheartedness to it that shined. When Archie helped Josie during her audition for Juilliard, I loved seeing the support he showed. He knew how much this meant to her and he wanted to help her after she “saved” him from his spiral. It’s hard to root for a filler romance when a lot is working against them like his potential future romance with Veronica or Betty and Josie’s aspirations for New York. Josie: I know I’m biased, Archie, but I think I killed that audition. I sang my heart out … and it still wasn’t enough.Archie: Then they’re crazy! They don’t deserve you.Josie: I’ve given so much to this and all along I’ve been saying, “It’s okay. It’ll be worth it.” I’ve built up so many walls to focus on this one thing, and now … I don’t know what I’m gonna do. And I’m alone.Archie: Hey, you’re not alone.Josie: I am. I can’t even get a date to my mom’s wedding and that speaks volumes. Permalink: I sang my heart out … and it still wasn’t enough. Plus, it’s troubling that Josie has consistently been nonexistent on Riverdale with no storyline. How is it that she’s finally showcased more, but she needed a man and a romance plot to give her character opportunity for screentime? Josie McCoy is a strong character from Archie Comics, and her involvement with Josie and the Pussycats had plenty of opportunities to grow her aspirations. Now, Josie is left to play lounge singer or worry about other characters. Hopefully, the Katy Keene pilot gets picked up so that Josie will develop and showcase her talents beyond music. Ashleigh Murray deserves so much more. Veronica and Reggie’s new relationship morphed into a cohesive partnership. In comparison to Archie, it didn’t feel one-sided anymore. Don’t get me wrong; I loved the passion in Varchie. They heat up the screen with their teen romance. However, their issues tended to favor Archie and his concerns. Varchie devolved into a toxic mess with its hero mentality (i.e., consistently trying to “save/fix” your partner). Throughout this debacle involving Hermione’s money, Reggie and Veronica balanced each other out. 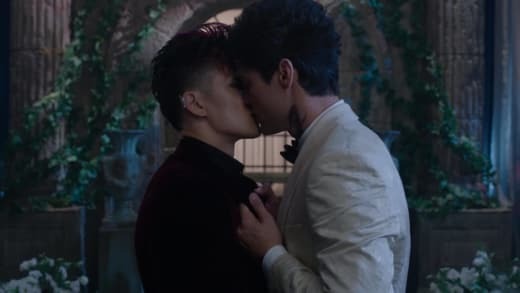 By no means were they perfect, and they still experienced bumbling mistakes, but they made tough sacrifices that helped one another survive the repercussions. Arguably, Reggie sacrificed more for Veronica, and hopefully, this won’t be a negative trend in their relationship. But I believed them as a unit that had the potential to last. Gladys Jones being the Fizzle Rocks supplier created a great twist for Riverdale Season 3. 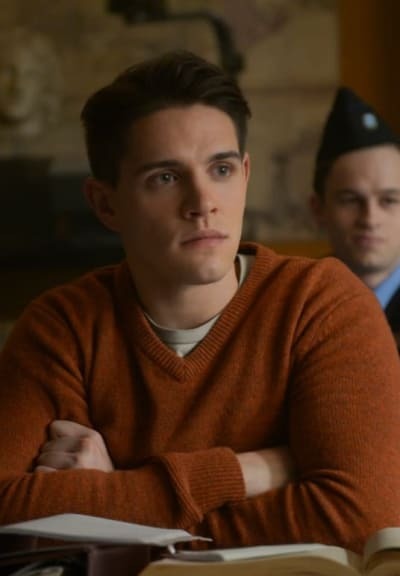 As we discussed during the review for Riverdale Season 3 Episode 8, Gladys and Jellybean shined in their scenes. With Gladys’ no-nonsense way and Jellybean’s wit, we were left wanting more of their characters, and their unfinished story with FP and Jughead had so much plot left to tell. Related: Riverdale: Should Riverdale Graduate to College? Now that they’re back in town, they have something nefarious up their sleeves. 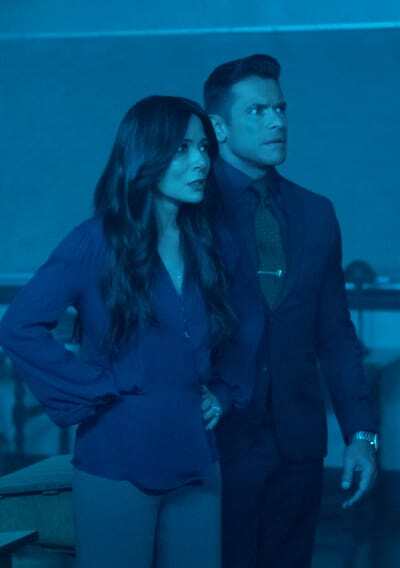 They have leverage over some of the biggest players like Hermione and Hiram, and you know Gladys won’t resist calling in her favors. But what makes their return so interesting is their involvement in Riverdale life. How long will Reggie and Veronica keep Gladys’ secret? Someone will no doubt crack once Gladys and Jellybean hook their claws into the townsfolk. In what grade are all the characters? The timeline on Riverdale is a bit weird, but we know as of Riverdale Season 3 Episode 1 that the majority of them started their junior year. Cheryl is older than the others, so how is she still in school? Does that make Cheryl, Toni, and Josie seniors since they’re looking at schools? Penelope needs to leave Cheryl alone or make amends. Their mother/daughter relationship verges on being catty high school students. Did all of the teen couples coordinate their hook-up time? There’s something gross about that strange coincidence. Josie no doubt killed that audition. Juilliard missed out on pure talent! What did you think of “Bizzarodale”? Are you heartbroken that Moose and Kevin broke up? How many Gargoyle King costumes are hanging around town? Will Josie and Archie last as a couple? If you missed the latest episode, you can watch Riverdale online via TV Fanatic. Come back here and share your thoughts in the comments.